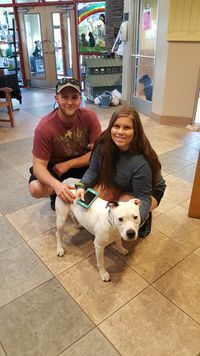 Change a life (yours & theirs)- Adopt a pet! At McKamey Animal Center, you will have an opportunity to meet and visit with your potential new companion in person. Spend time interacting with your potential new friend. You can review specially developed behavior and health profiles, and lifestyle considerations on each of our adoptable animals. You can review our fees below, or click below for more information. We have adoption counselors who will work with you to help find that perfect pet, but bear in mind that this may often require more than one visit. They can help you decide what size, age, breed and temperament will most successfully meet your expectations. Because adopting an animal is a family decision, please bring your whole family, including current resident dogs (if you are adopting a dog), to meet your potential companion. Please leave your resident cats safely at home. 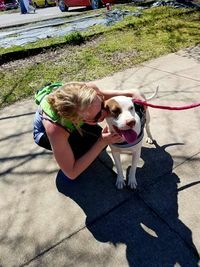 If you are a Chattanooga city resident, your current pets must be licensed. If they are not licensed, please bring a copy of your animal’s rabies certificate and our staff will be able to issue you a license. The entire adoption process can be time consuming (up to 2 hours). You will be asked to complete an adoption survey. This time is well invested when you consider that your pet will live with you for up to 15 years or more. Renters be prepared to show proof of pets being allowed. We ask for your patience and cooperation in the joyful process of bringing pets and people together. Remember, we are here to help should questions or concerns arise, and we are committed to making each placement positive and permanent. On Thursdays dogs are $25 (excludes ambassadors & puppies) and all cats are $5. Click Here to check out the free apartment search website that places a strong focus on pet-friendly housing, and have great pet-friendly listings in Chattanooga. 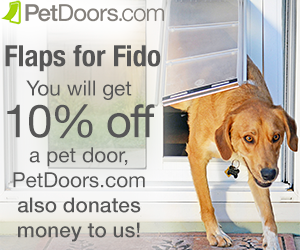 To support your favorite rescue, select a product from Flaps for Fido!